"We had some magnums for the fifth anniversary." 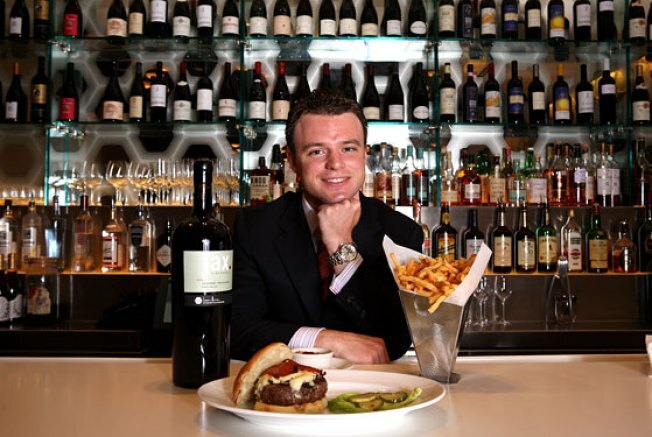 Lever House celebrated its fifth anniversary last week, but partner John McDonald asked former DB Bistro Moderne sommelier Arnaud Devulder to turn the restaurant into a wine destination just last fall. Devulder planned to be a chef, but changed his mind after tasting a 1996 Puligny-Montrachet Premier Cru Combettes from Jean Marc Boillot at Epcot Center's World Showcase while working with legendary French chef Paul Bocuse. Wine pros Jean-Luc Le Dû and Phillipe Marchal trained Devulder at Daniel in 2003, and turns at Café Boulud and DB Brasserie in Vegas followed. The arrival of fellow Daniel alum Bradford Thomson at Lever House has added "a bit of the French flair in the kitchen." We asked Devulder about adapting his cellar to Thompson's menu and the restaurant's new signature wine. How did the wine program change with new chef Bradford Thompson? He's using techniques that are French with seasonal American products.The emphasis is Burgundy, and California Cabernet and Chardonnay, which goes very well with the food because it's Modern American cooking. And we have a pasta section ... so I can play also with Italian wines. What about the wine you're making for Lever House? I couldn't really experience it before with Daniel because there's a lot going on at the Dinex group, so when I moved here it was a good opportunity. I asked some of my best-friend winemakers to be involved, like Dan Goldfield at Dutton-Goldfield for Chardonnay and Kirk Venge from Jax Vineyards for the Cabernet. The labels just say Lever House with my signature and the Marc Newson honeycomb pattern, and every bottle is numbered. We only made 600 of each, $27 a glass, $125 for the bottle. They arrive on October 1. The 2007 Chardonnay is medium- to full-bodied, with a hint of spice, almond, walnut, a touch of apples and pears. It's not that buttery Sonoma Chardonnay; not too oak-y. I created it as a pairing for our Maine Lobster BLT on the lunch menu. For the Lever House Burger, the Cabernet Sauvignon 2006. Dark ruby in color with a touch of Petit Verdot. It has an aroma of compote black currant, leather, and rosemary. Soft tannins. The flavor profile [is] of Cabernet from the 40-year-old Calistoga vineyard, finishing with plum and almost compote cherry fruit at the end. We had some magnums for the fifth anniversary. And another Cabernet will come out in October 2009. There are a lot of business types at Lever House. What do they order? They love Pinot Noir, either domestic or from Burgundy. Big cult California Cabs: Hillside Select, Shafer, Quintessa. All white burgundies, Californian Chardonnay. I love Alsatian wine myself so I sell a lot of that: Riesling, Pinot Gris, Gewertzraminer. Besides spending a lot of money, they're still very curious if I recommend something. Charlie Palmer recently made Wine Aerator spouts available to diners. Would you? I don't do that. It opens it, it announces the flavors. Me, I like wine just the way it is.